The monitoring device signal if any operating problems occur with the obstruction light fixtures. The alarm system will send an alarm signal whenever a fault occurs with one of the LEDs. The alarm system also ensures that the secondary LED of the Type A double light fixtures lights up if the main LED fails. The power supply is mounted in a plastic housing and will be positioned at the base of the structure in a weatherproof enclosure. 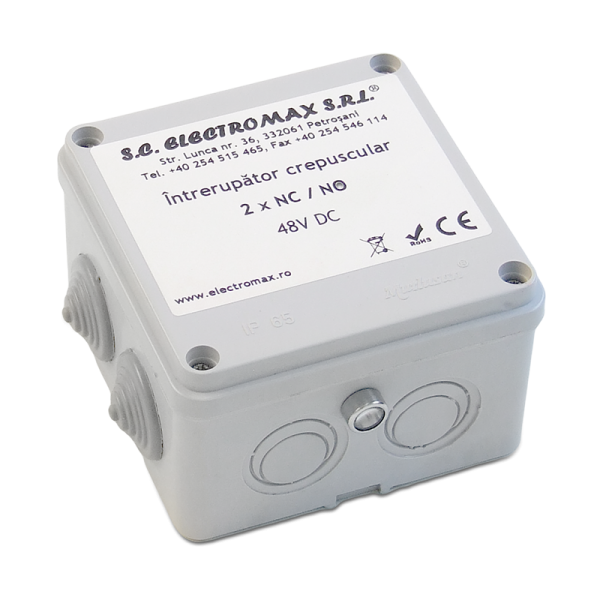 It will connect to this housing to the existing connectors: 1 supply from 230V AC (it can also be supplied with 48V DC supply); 2 alarm; 3 light fixture's power cable.